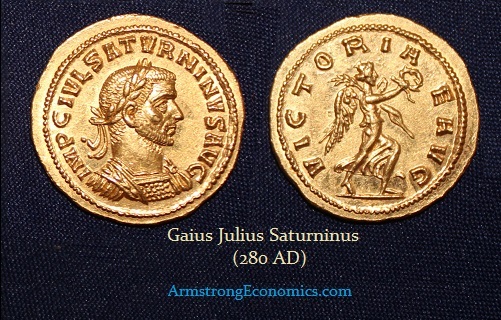 Gaius Julius Saturninus was a senior officer under Probus in Syria. 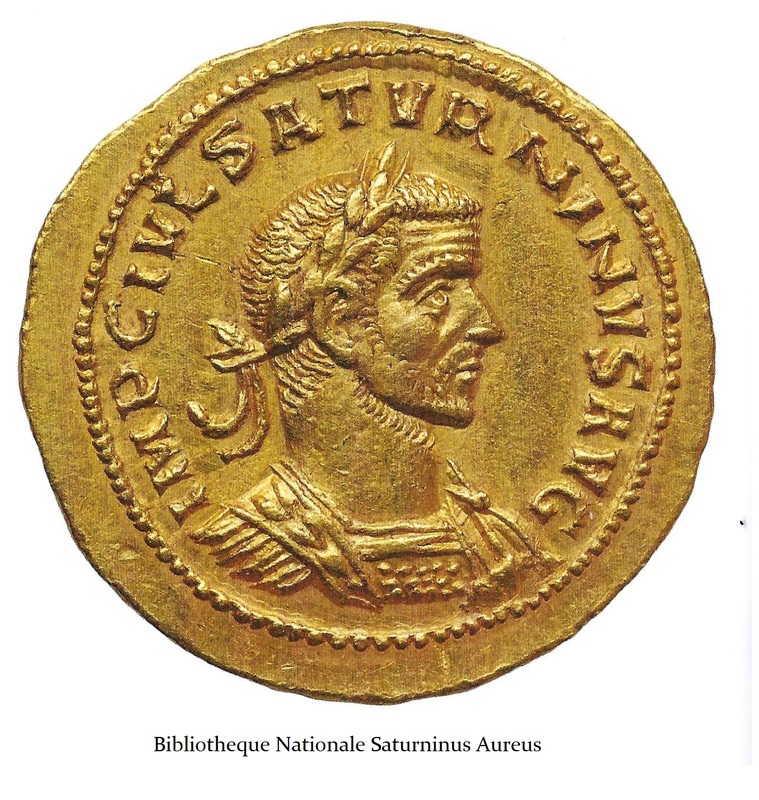 According to Historiae Augusta, Saturninus led a short-lived revolt, which began with his proclamation as Augustus by the troops under his command in Alexandria Egypt. At first, we are told that Saturninus declined the honor. However, later in about 280AD, Saturninus appears to have proclaimed himself Augustus in Syria after a change of heart. The rebellion that was unleashed by this bold political step soon failed. Saturninus was murdered presumably by a faction of his guard who either remained loyal to Probus or those fearful of defeat due to the lack of support from other regions in the Empire. Only two gold aurei are known with both examples being discovered in Egypt along with about 20 aurei of Probus in the hoard known as Ben-ha discovered in 1895. One example resides in the French Bibliotheque Nationale collection and the other in our collection. When these coins were discovered, the coin pictured here first appeared in a Serrure, Paris auction in 1895 and it sold for FF6,200 when a Probus Aureus sold for only FF225. Joseph H. Durkee, who was an American diplomat stationed in Paris, was the buyer. Then two years later, the second coin appeared on the Paris market and was purchased by the Biblioteque Nationale. No other coins have been discovered. 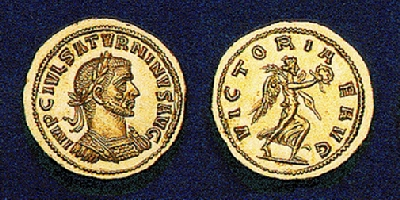 This unique gold aureus is the most valuable of all Roman gold coins attesting to the rarity of the Emperor as a result of his very short-lived reign. However, it was the discovery of these two gold coins which proved that Historiae Augusta was genuine as many scholar argued it was fictitious being written by a monk some several hundred years later. The two aurei are authentic and minted in Antioch with two different obverse dies and two different reverse dies. Estiot traced 6 other hoard coins from Probus also minted in Antioch. She concluded first aurei of Probus were minted, referring to a co-reign with the reverse legend AVGG (plural). Then Saturninus minted as sole emperor and finally coins for Probus as sole emperor were minted probably starting in the second half of 280 AD following the brief reign of Saturinus himself. It again offers an interesting example of the insights numismatics can generate. For many years, the Thirty Tyrants of the Historiae Augustus were believed to have been inaccurate historically. Some have argued that many of these so called tyrants of the lat 3rd century were fictitious. With the discovery of the coinage of Saturninus, there can be no doubt that the Thirty Tyrants may at least be far more accurate that originally surmised.